When you’re looking for a fun new craft project to get involved in, or already know that vinyl cutting is the one for you, getting together the right tools and equipment can be a harrowing task. For those just starting out in a particular hobby, being sure you’ve collected everything you need to get started is a job in itself and puts many people off from beginning their new interest. If you’re interested in vinyl cutting specifically, there’s quite a lot to assemble to ensure you’re ready to start on projects, with everything from the cutter to the vinyl to consider. Not only do you need the hardware, but it’s essential to have quality and innovative software that helps you create whatever your imagination can produce. 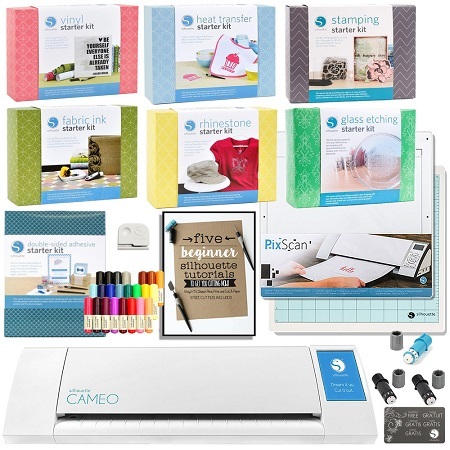 The Silhouette Cameo Starter Kit could be exactly what you’ve been searching for, as an entry level bundle that allows you to begin chasing your vinyl cutting passion. With just this one affordable bundle you’ll have everything you need to make stickers, labels, transfers, and just about anything else your creative mind can imagine. With this little bundle in your project space, the opportunities are endless with what you can create. There’ll be no need to source all the different tools and accessories just to make amazing items with your new found passion, as Silhouette has truly thought of it all. Anyone who has a keen interest in arts and crafts will likely already know the Silhouette name, as this company has been making supplies for years. They’re well known for creating comprehensive and easy to use starter kits for a range of arts and crafts, and their vinyl cutter kit is no exception to how well they make them. 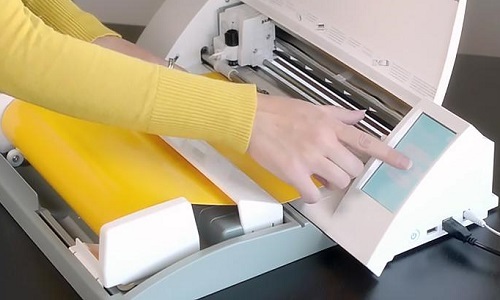 For the home hobbyist looking for a new vinyl cutting machine, or someone wanting to get started with these exciting projects, you really can’t go wrong with everything on offer here. The Silhouette Cameo Vinyl Cutting Starter Kit has everything you need to make a range of arts and crafts, and it’s ideally sized to fit right into your home workshop. When compared to other vinyl cutters, this one is more focused on the arts and crafts lover. Depending on what you need your device for this could be a good or bad thing. It’s compactly sized and plugs directly into your home computer, so it’s not really ideal for professional use or a large workshop, but would suit a hobbyist very well. There is a lot of advice on how to use your Silhouette Cameo, so if you’ve never used a vinyl cutter before then one like this is ideal. The buttons are simple, the steps are easy to follow, and everything has been designed to be as easy as possible. There’s little room for making mistakes, which makes it great for those just starting out with vinyl cutting. However, the cutting blade and mats that come with it could be a little better quality, and some users have found that they need replacing more than they would hope. If you can find a reliable source for these items at a great price, it still works out far cheaper to purchase this model than any other on the market, and this is really the only negative about it. If you’re itching to get into vinyl cutting, you’ll want to know where you can get the best deal on the Silhouette Cameo Starter Kit. When you purchase this innovative machine from Amazon, you’ll find it for a reduced price of under $250 which is amazing value when you consider everything you get in the bundle. The Silhouette Cameo comes with a 12-month limited warranty on the hardware, however, if the online reviews are anything to go by this machine can last a lot longer than this. This warranty covers just the Cameo II machine, and all other parts aren’t included. However, you’re able to update the software as new versions come out by using the Silhouette download hub. If you want to purchase extra blades and mats, you can also do this through Amazon for a discounted price. Having these available at the click of a button is great because it means there’s no need to worry about running out, or you could purchase a bulk pack in advance and save yourself, even more, money and time. If you’ve been looking forward to starting a new craft project and have decided that a vinyl cutter is your next tool of choice, you won’t want to miss out on the Silhouette Cameo Vinyl Starter Kit. 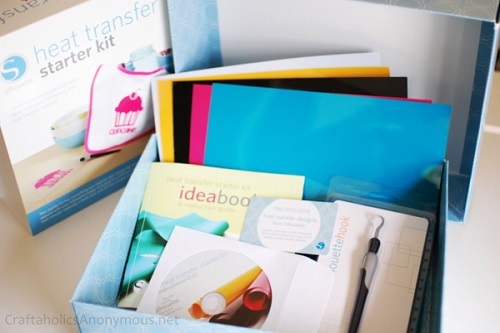 This amazing bundle comes with everything you need from the software to the cutter, and it plugs easily into most home computers. 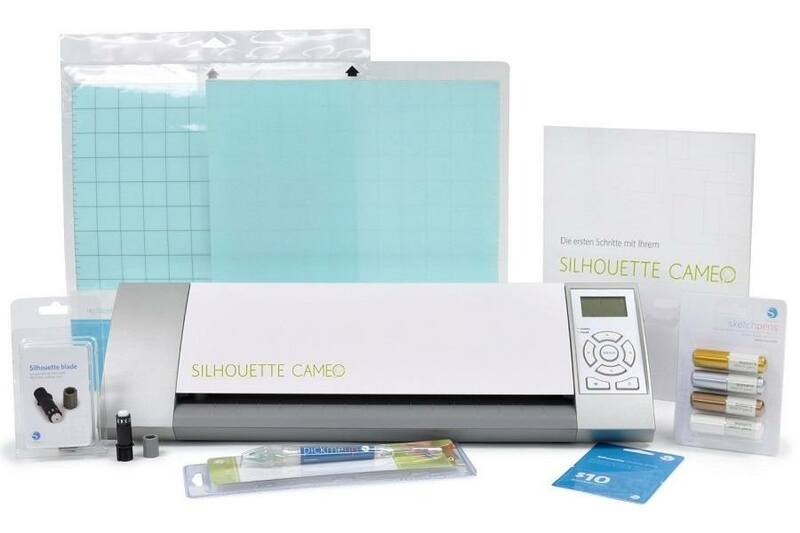 To give yourself endless options to make new craft projects at home, and do so with ease and efficiency, purchase the Silhouette Cameo Vinyl Starter Kit. With just a few simple steps you’ll be on your way to making quality products with minimal effort.